Our classic Japanese style zen platform bed is elegantly constructed of solid hardwood planks. The deep, rich finish is built up in layers, accentuating the natural wood grain and traditional joinery. Large scale solid hardwood feet attach securely and provide a strong and stable base. Review: "We've had this for almost two years now and we love it. Its held up quite well and still looks great. 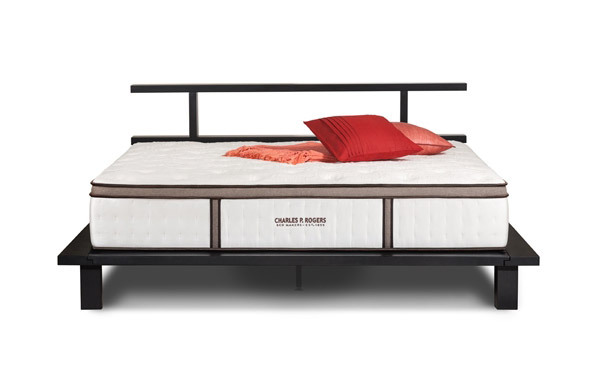 Great bed, well designed for a great price." 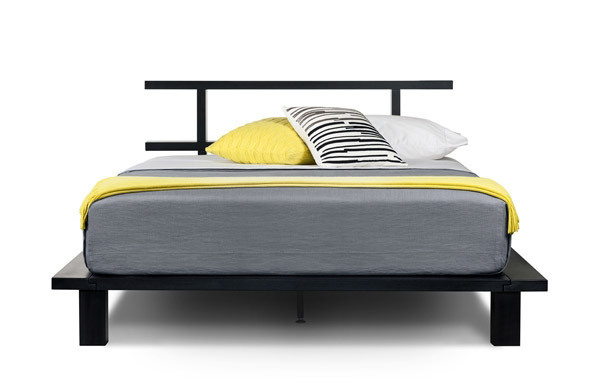 Review: "We just received, and assembled, this bed. We were not convinced that buying furniture over the 'net was a great idea, and have had some unfortunate experiences with other vendors. But, this is a remarkably fine bed. Well constructed of quality material, nicely finished, fittings all worked the first time, and it looks very happy in our guest room. Absolutely first rate. Best of all, there were no "made in China" labels!" 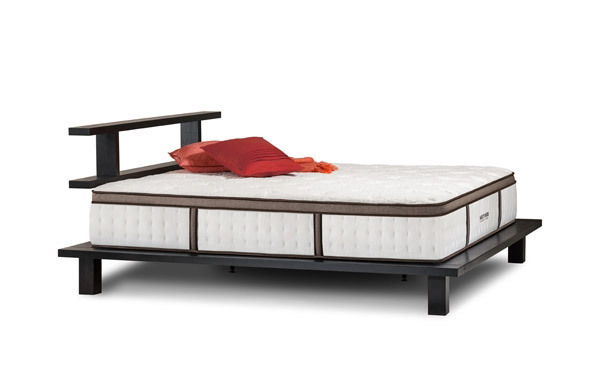 Review: "I love this bed! Truly unique in style and craftsmanship. I have the most comfortable and lovely bed of anyone I've ever met! Thanks." 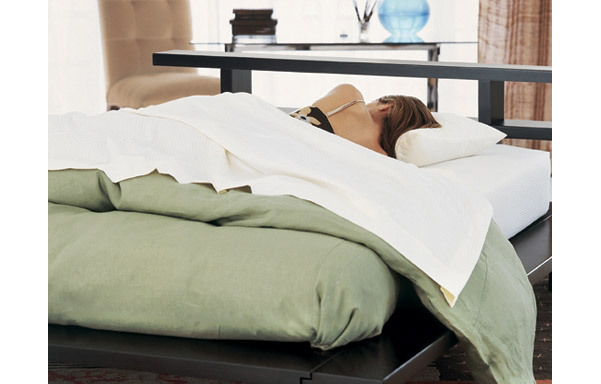 Review: "I love my bed....wouldn't trade it for any other bed." Review: "The bed is exactly as pictured. The construction and workmanship are very good. Assembly was easy and they actually provide the tools to put it together. I had it together in about an hour. I ordered through the web site and had no issues. My order was around the time of the big snowstorm in the NE so it took a little longer to get here. DHL had to schedule a special delivery since it took two people to carry the boxes, but they were able to schedule it for a time I would be home. This is our first platform bed of this type and one thing to be aware of is the large edge around the bed. We wanted a bed with this large edge for various reasons, but understand that you can run your shins into it pretty easily. It wasn't something we thought about when we ordered the bed and you have to be aware of it, especially when you're stumbling around in the middle of the night. We are likely going to put something on certain edges to cushion them." Review: "Very well built, and very stylish. 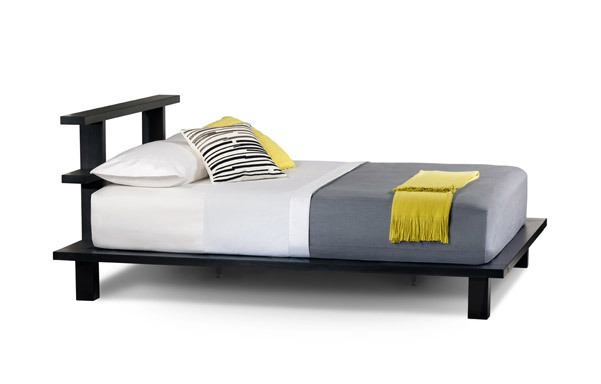 Correctly named ZEN bed... its very minimalist in aesthetics. 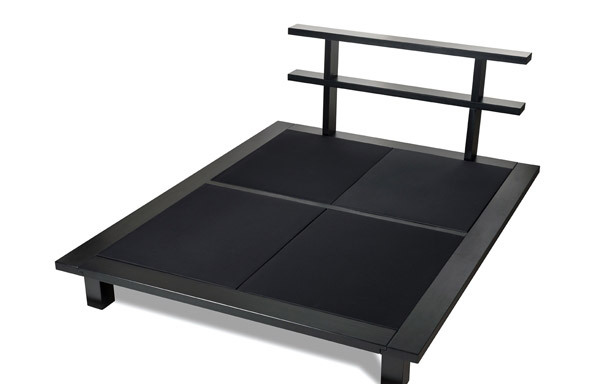 I am very pleased with how solid it is, the wood quality, and really like the padded platform as opposed to slats that most platform beds have. This was a big selling feature, since most memory foam mattresses are not warrantied without a solid platform as support. It looks great, no squeaking joints- absolutely solid. Wood is darker than the photo- a bit more like Cherry than the Tiger color depicted ( Tiger mahogany model), but really nice either way and variations in wood and photo examples are always going to occur. It only took me about 2 seconds to like the slightly darker shade. It arrived a little faster than expected- and the shipping company worked with me to actually delay delivery a day to meet my schedule. Very nice. I had no need to contact C.P Rogers customer service- as everything went as easily as ordering a book from Amazon." Review: "Not disappointed in quality or workmanship of the Zen bed and it is most easily put together with 2 people(as recommended). We had a problem with one of the planks but Rogers quickly shipped another. The bed is very sturdy and beautiful." 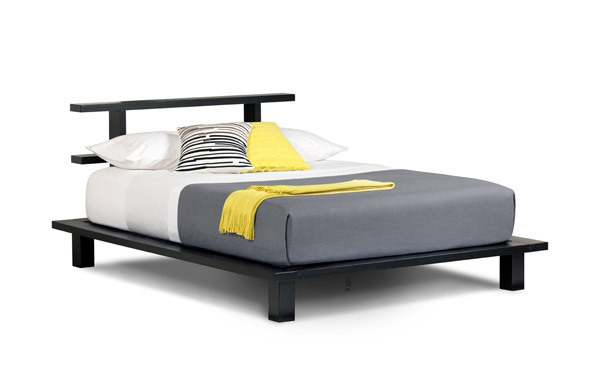 Review: "Love this bed, truly Zen looking, we have a new mid-century modern home, and this bed is perfect!!! Was thinking we would need night stands, but anything you normally place on a nightstand can go on the platform area just in front of the front (top) of the mattress and still be hidden, we love the sleek clean look. The only problem is finding a mattress low enough approximately 8" in height, that is comfortable enough. If you go over the 8", maybe 9" height for the mattress, it would take away the look of the wonderful headboard. All the beds they have on the Rogers web-site are too high, so we went with the super expensive $2500 Temperpedic, anyway the most expensive foam mattress available, and are going to sell it and try something else, we need a soft mattress, but if you go a traditional mattress even expensive, they have the super tall pillow tops on them, and as mentioned before, it would probably defeat the purpose of purchasing this style of bed, because then the mattress would be as high as the headboard, so we will keep looking because, we love this bed!!!!!!!!!!!!!!!!!! Also, we did think the bed was going to arrive sooner than it did, so you may want to ask for a definite ship date if you need that. We love the expresso, deep rich rich brown color as well. love!!!!!!"